You can browse and access documents in Couchbase using browser and command line tools without writing any code. This can be helpful to you if you simply wish to inspect cluster data without writing code. You can access individual documents using the command line and web console. You can access documents in Couchbase using command line interfaces. You can use the cbc tool for simple document lookups by their IDs (or keys) and the cbq tool to issue N1QL queries. This section will discuss the installation and usage of the cbc tool, and is targeted towards Linux and Mac OS X users. You can also use cbc on Windows by extracting the archive with libcouchbase. The archive contains cbc.exe by default. To use the cbc tool, first install the C SDK. Note that you will also need to install the command line tools. The cbc tool is part of the C SDK. Refer to C SDK for other installation options. cbc rm (remove a document). You can store a document using the cbc create command. The command line client is not JSON-aware. If dealing with JSON documents, ensure that values passed to it are well formed JSON because the cbc program does not do any validation. You can retrieve a document using the cbc cat subcommand. You can find out more about the cbc command by referring to your local man pages or by viewing its documentation. You can use the cbq program as a command line query shell to issue N1QL queries in couchbase. cbq is available on all cluster nodes and does not require a separate installation. Simply run cbq from the Couchbase installation directory (/opt/couchbase/bin/cbq on Linux and "/Applications/Couchbase Server.app/Contents/Resources/couchbase-core/bin/cbq"). Once in the shell, you should be greeted by a prompt and ready to issue any N1QL query. Navigate your browser to a cluster node. Type the address of the cluster with the admin port (8091). Use your username (usually Administrator). The password is the password you used when setting up the cluster. 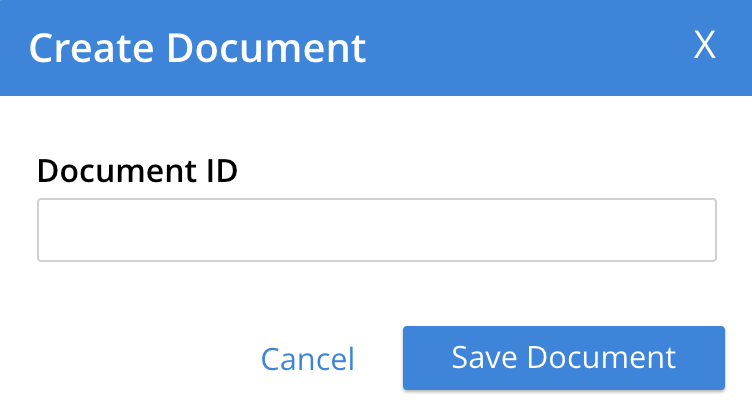 To retrieve a document, enter the document ID into the Look Up ID field, at the upper-right; then left-click on the adjacent button. The Documents Editing page now appears. This allows you to edit the selected document. Enter an appropriate ID, then save. This bring up the Documents Editing view. You can use the Query Workbench to issue queries using the web console.